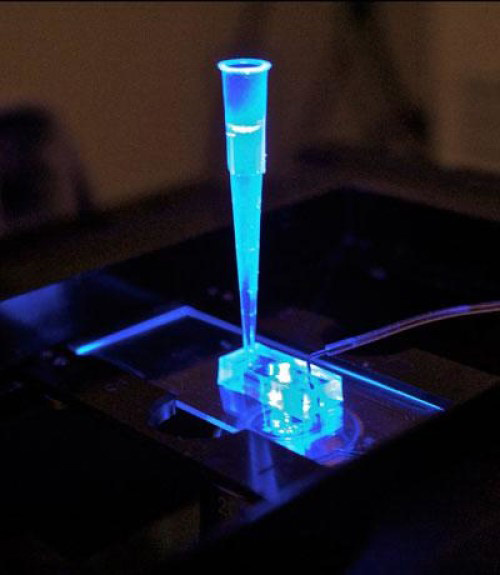 Heart-on-a-chip used to screen drugs. With CIRM funding, a team at the University of California, Berkeley, has used stem cell technology to create a virtual heart on an inch-long piece of silicon. The cells in that “chip” mimic the physiology of a human heart and have shown that they can accurately show how drugs will impact the heart. Starting with iPS-type stem cells made from reprogramming adult cells the researchers grew them into heart muscle that could beat and align in multiple layers with microscopic channels that mimic blood vessels. They tested three drugs currently used to treat heart disease and found the changes seen in the heart-on-a-chip were consistent with what is seen in patients. For example, they tested isoproterenol, a drug used to treat slow heart rate and saw a dramatic increase in heart rate. Brain stem cell activity decreases with age. We have known for some time that the adult stem cells that reside in most of our tissues and spend our lives repairing those tissues are less effective as we age. But the stemness of those cells—their ability to regenerate themselves—has not generally been questioned, rather we have assumed they just lost some of their ability to mature into the type of cell needed to make the repair. Now, a team at the Ludwig-Maximilians-Universitat in Munich has published data suggesting that brain stem cells over time loose both their ability to renew themselves and some of their ability to become certain kinds of nerves. ScienceDaily picked up a press release from the institution and it quoted one of the authors, Magdalena Gotz, on the implications of their finding for therapy. Another alternative for correcting genetic blood disease. CIRM funds a few programs that are trying to treat blood diseases such as sickle cell anemia and beta thalassemia by genetically altering blood forming stem cells. The goal being to correct defects in the gene for hemoglobin, the protein that carries oxygen in red blood cells. Instead of starting with a patient’s own blood stem cells, which can require a somewhat traumatic harvest procedure, a new approach by a team at the Salk Institute in La Jolla creates iPS type stem cells by reprogramming the cells in a small skin sample. They mature those into blood stem cells and genetically modify them so that they can produce red blood cells that have the correct hemoglobin. CIRM funds other work by the senior author, Juan Carlos Izpisua Belmonte, but not this project. Because you never know which technology is going to work out best in the long term, it is nice to see other funders stepping up and pushing this alternative forward.